100 cal Arc Flash Suit: Does It Really Work? Electrical workers have been getting mixed messages when it comes to a 100 cal arc flash suit. It was always common knowledge that working on anything over 40 cal/cm2 was extremely dangerous and should never be done... or is that really common knowledge? In this article, I'll reveal the myth that has kept many jobs from being done properly and why the idea of wearing a 100 cal arc flash suit is not all that bad. Back when the electrical safety and arc flash standards were first being developed the clothing manufacturers needed a way to simply organize the hazard levels. One way was to come up with different categories of clothing that could protect a worker from certain levels of arc flash heat energy (Incident energy). But the Blast Will Kill You! In fact, the blast will likely get you out of the vicinity of the arc flash (unless you are one of those arc flash manikins... those guys are like rocks... watch the video). All jokes aside though, there are no known cases of a fatality caused solely by the blast of an arc flash. Meaning, if you were wearing the proper protective clothing... you'd probably walk away without a scratch. Does a 100 cal suit really work? The technology in protective arc flash clothing has come a long way in the last 10 years. 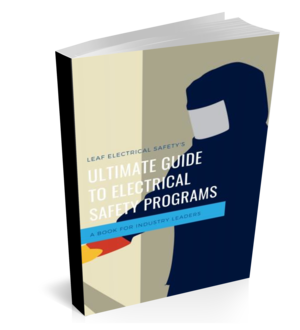 When exposed to an arc flash there are two main things you need to be protected from. The first is the heat energy or the incident energy that we already spoke of, the second is a massive fireball that will totally engulf the worker. The clothing will absorb the heat energy and on top of that, it will not be lit on fire by the fireball. Isn't a 100 cal Suit Going to Be Hot? Compared to 20,000 degrees (the temperature of an arc flash) no... compared to wearing no protection then yes... but what do you expect? The nice thing is that today the clothing is way better than it used to be. If you haven't gone shopping in a while I suggest you take a look at what's on the market these days. My favourite has always been Oberon. The clothing is lite, it breathes and you can even get hoods with fans in them. Is the risk really that much higher for 100 cals? Now, I'll be honest. I'm not exactly sure how badly a 100 cal/cm2 arc flash is going to burn and compared to a 40 cal/cm2 arc flash it might seem like a lot more. But let me put this in perspective for you. 2nd-degree burns start at 1.2cal/cm2. Yup, read it again 1.2. That means a 40 cal/cm2 is extreme... and 100 cal/cm2 is very extreme. So the way I look at it is if you must work on this equipment energized (that's an entirely other conversation), and you have PPE that will protect you from the hazard, there really is no difference between 40 cal and 100 cal. Let's compare it to skydiving... some jumps are 5,000 feet maybe even 15,000 feet higher than other jumps... but is the risk all that much more? When the typical jump is from 10,000 feet to me, the risk is about the same... the same thing applies to really high arc flash hazards. If you have incident energy levels that you have calculated approaching 100 calories then I suggest you take a good hard look at getting a 100 cal arc flash suit. While elimination of the hazard should always come as a priority, sometimes it's just not possible and you need to suit up. Keep your workers protected and stay safe.